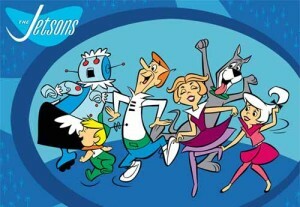 Once upon a time, The Jetsons were a futuristic family with an ultra-modern home full of gadgets designed to make their lives easier. Well, the Jetsons have arrived, and you too can have those goodies at your fingertips to control lighting, temperature, security and more. Here are a few mobile apps to try, explained by American Home Shield. Philips Hue – Wirelessly control your Philips Hue lighting system from your iPhone or iPad. Nest – Adjust your home’s temperature using your smartphone or tablet. SmartThings – Use your smartphone as a remote control to manage your household systems, including door locks, lights, music and appliances. Control4 My Home – Manage all of your home’s systems including security, lighting and energy from your iPhone, iPad or Android. Once quite pricey, many of these devices are available for just a few hundred bucks, well worth it for the convenience and energy savings you’ll enjoy. George and Jane Jetson would be proud!